Within weeks of its premiere, TLC got a taste for itself of such misconceptions and conflicts, as a right-wing attack, led by a Christian group in Florida, pressured 65 of the 67 companies they targeted to pull ads from the show. 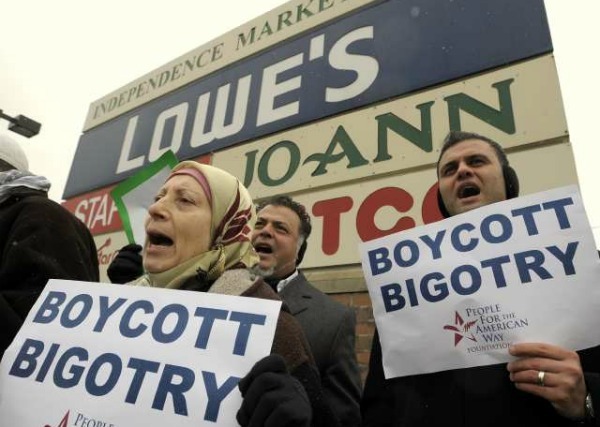 One of these companies is the home-improvement giant Lowe’s, which is now being petitioned by a coalition of activist and faith-based groups–including Faithful America, Change.org, CREDO, Sum of Us and Groundswell–to apologize and reinstate advertisements. The national chain has also been facing the prospect of store protests and a boycott.